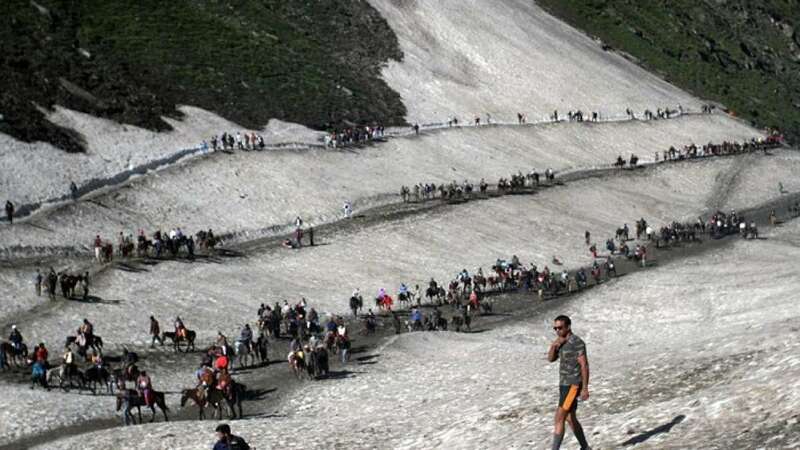 Palghar : Two women of the seven Amarnath Yatra pilgrims killed in a Kashmir terror attack were from Maharashtra and others belonged to Gujarat, officials said on Tuesday. Of the 19 injured, eight pilgrims were from Maharashtra. Usha Mohanlal Sonkar, 66, and Nirmala Bharat Thakur, 67, were the two women from Maharashtra killed in the attack. Both hailed from Dahanu town in this coastal district of north-Konkan, around 100 km northwest of Mumbai. Their bodies were expected to reach Dahanu from Valsad, transported by an Indian Air Force aircraft later on Tuesday, an official said. The injured include Prakash J. Vijan, 60, Ramesh G. Badola, 45, Teeta M., 55, -- all of whom suffered leg injuries. Ujalita V. Dogra, 50, suffered a foot injury and her husband Vishnu N. Dogra, 55, was injured in the abdomen. Three other women -- Baghimuni Basan Singh, 50, Daksha P., 59, Chhaya Wasen Kumar, 60 -- were also injured. They were with over 60 pilgrims in a bus which had left Gujarat for the Amarnath Yatra on July 2 and were expected to return on July 27. After paying obeisance at the Himalayan cave shrine in south Kashmir, the pilgrims were on way to Jammu on Monday evening when terrorists sprayed bullets at the bus in Khanabal area on the Jammu-Srinagar National Highway, 50 km from Srinagar. According to the list of passengers on the bus provided by the Regional Transport Office at Valsad in south Gujarat, barring a dozen youths, the majority of the passengers were in their late 50s and 60s who had gone for the Amarnath Yatra.